One of my favorite developments at TFWW in the past year has been the growth of our classes. As folks who have come to our Brooklyn showroom could attest, we’ve always been happy to chew the fat about router profiles, give mini-lessons about how new products like the Planing Stop works, compare notes on different finishing products, and more recently, help you while away 5 minutes as you satisfyingly bore holes with the new Spoon Bits. 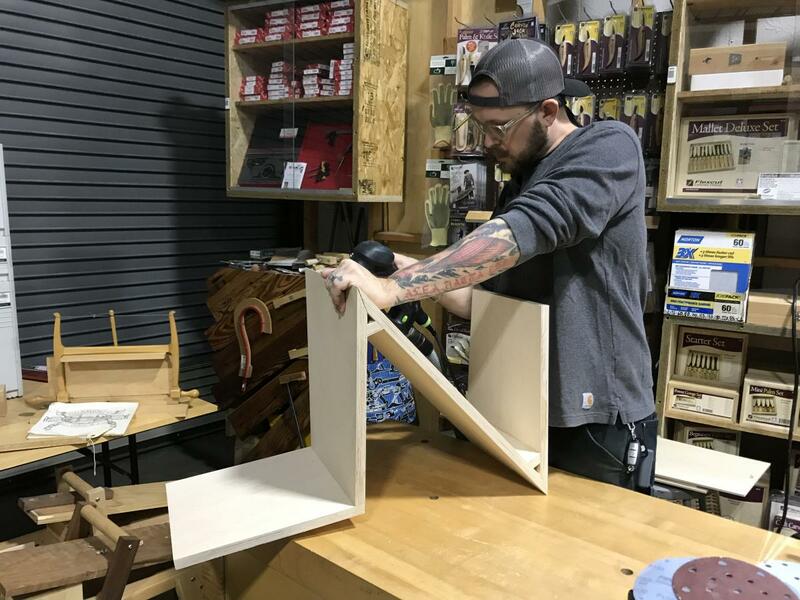 The current issue of Popular Woodworking features Pate’s article about the Knock Down Shave Horse, based on the class that Pate has offered several times at Tools for Working Wood. If you’re in the NYC area in early February -- or could justify a trip then -- Pate is teaching the Build the Knock Down Shave class again on February 9th. If you follow us on Instagram, you might have seen the charming original poster Annie Raso made for Blackwing Pencils. Annie is an artist and woodworker whose Instagram showcases some of her love of block printing, an art form that combines these two vocations. 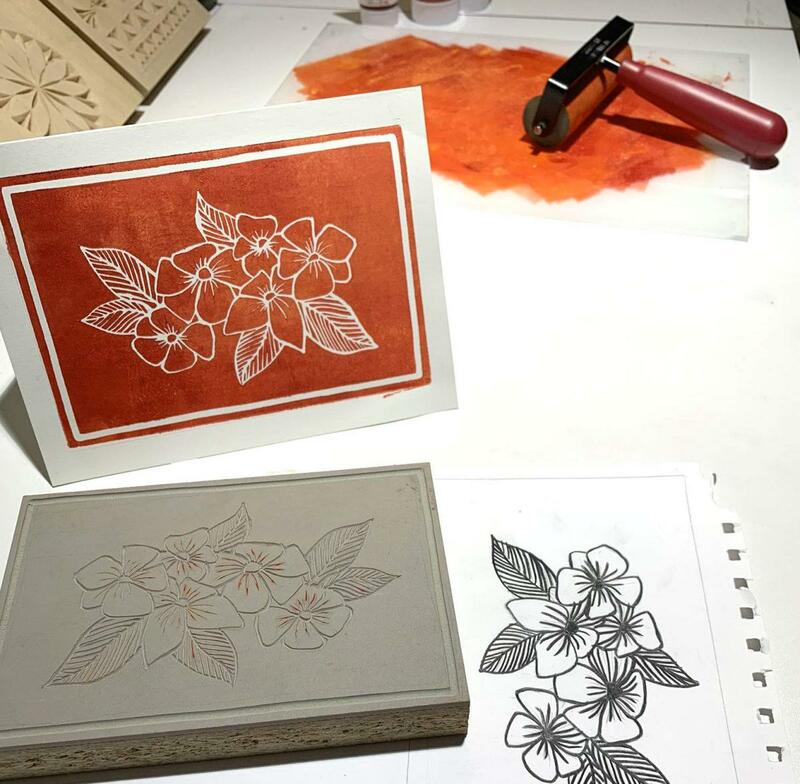 Annie is going to teach an Intro to Block Printing class on January 26th. 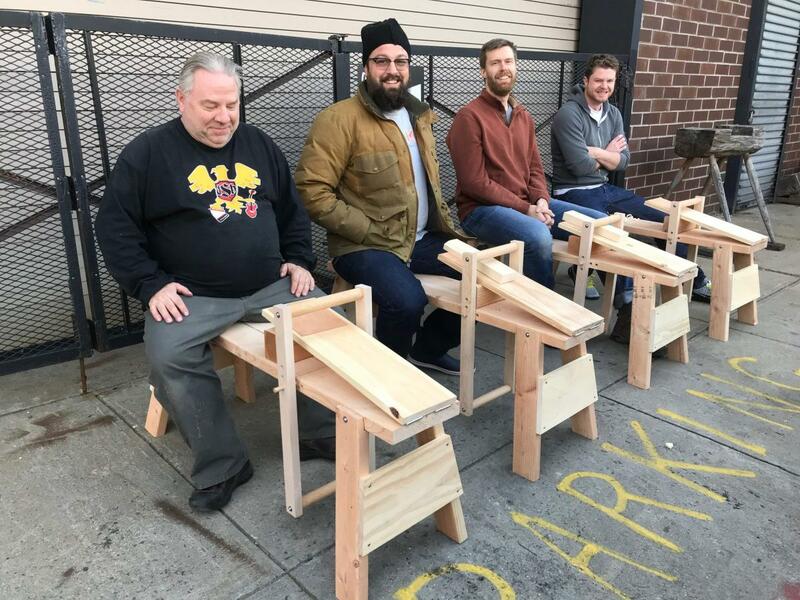 Corn Schmid’s classes including Build the Zig Zag Chair have earned him a loyal corps of students. He has taught grinding and sharpening (next up on February 16th: a combination intensive workshop called the Sharpening Bonanza) and is contemplating his next construction class. If you’re interested in wood finishing but put off by the potential chemical hazards, Eddie O’Donnell is teaching Environmentally Friendly Wood Finishing. Eddie will guide you though non-toxic vegetable, animal and mineral alternatives to the stuff that has you donning a hazmat suit. His class will be held on Saturday, February 23rd. Finally, we’re delighted to herald the return of Daniel Clay and his Chip Carving class on March 30th. I loved the class Daniel taught last fall. This class was just posted on our site; expect seats to be gobbled up. Finally, I want to thank everyone who wasn’t put off by this week’s Arctic temperatures, beginning with Eddie, who patiently warmed up the frozen locks enough to open them --- after an hour in the brutal cold. Amazingly, the folks who tried to visit our showroom but couldn’t get in came back, joined by others who wouldn’t let a little frostbite get in the way of woodworking shopping or knowledge. We love when you stop by, and hope that if you aren’t local, you’ll come visit us anyway. We’ll have a beverage and snacks for you -- and maybe even a workshop. I am new to woodworking. Would appreciate all you can do to help me. Thanks.